The Spartans went swift and hard against Ikon Allah to grab their first win of the season. The Tornadoes never envisaged that their day would end in quagmire, when Emeriojake scored Heartland's first goal in just 6 minute of the game. Afeez Mohammed made things worse, by extending the lead before the half time break. Confused and completely devastated, Tornadoes summed up courage in the 2nd half to part with a consolation goal. 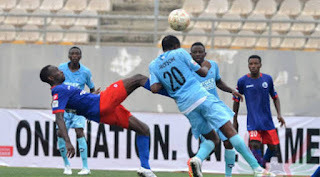 Niger Tornadoes have not relent effort in finding a better place in the NPFL, as they strife hard to be on top form. They've won 2 games and lose 3, with 6 points so far. While Heartland are still groping in the dark, hoping to see the light at the end of the tunnel. 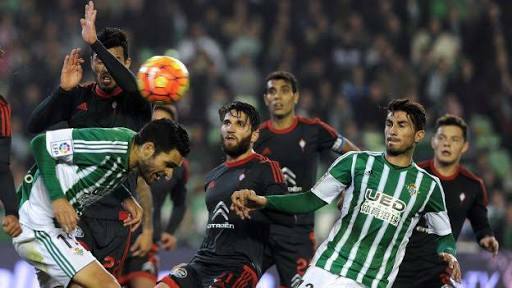 They are currently at the bottom of the table (20th position). They've played 5 games so far. Lose 1, and draw 4. The Soccer scientists are yet to win a game since the start of the season. The question is, will the Spartans live up to their name? Elkanemi Warriors vs Eyimba, and Abia Warriors vs Enugu Rangers ended in a stalemate, as none of the teams could find the back of the net. Sharing a point wasn't so bad, but it definitely will rub off on their standing on the NPFL table. 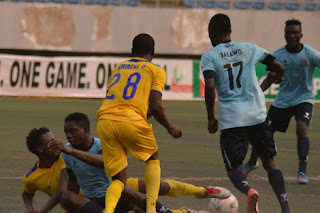 Sunshine Stars had a very bad day, as they were totally torn apart, 5-0 by Plateau United who used them for their shooting practice. 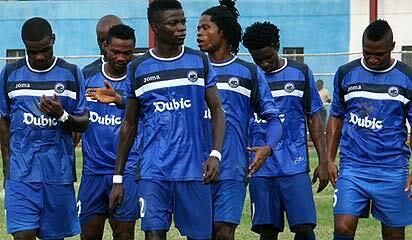 Akwa United on the other hand, had a swell time at home, by completely annihilating Wikki Tourist 4 goals to nil. 16 minute goal from Wassa G. gave NPFL present leaders, an opener. Akwa's winning was later confirmed in the 2nd half, with goals from Mbaoma, Ibeh and Pyagbara. Elkanemi Warriors and Eyimba have met 10 times since 2013, with Eyimba winning 5 at home, and a draw. While Elkanemi has 4 home win. None of these teams has ever had away win. Elkanemi's current form: LDLWW. The question is, can the people's elephant turn the tide to their favour? Can they break the age long away lose jinx, this Sunday? 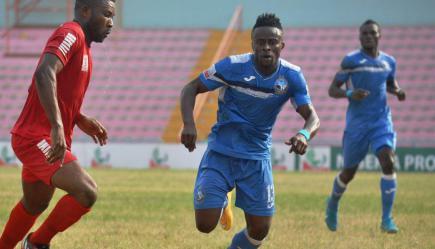 Abia Warriors are in dire need of a win against Enugu Rangers, in order to escape relegation zone in which they're gradually drifting to, cos they can't afford to lose again. The Flying Antelopes in the other hand, can't afford to lose either, if they must catch up with the top four. 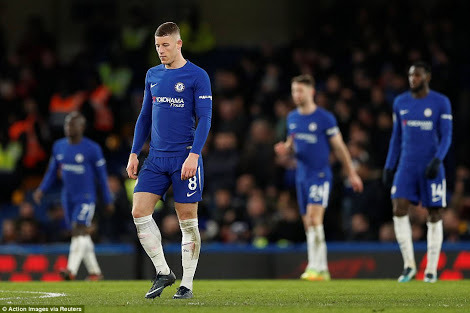 Stamford Bridge crumbled to rubbles yesterday, as the Blues were mercilessly mauled 3 goals to nil, by visiting Bournemouth. It was a big blow to Conte's led Blues, as they were shocked beyond their wildest imaginations. It all started after Wilson's 51st minute strike, gave Bournemouth an edge over Chelsea, followed by 2 more goals, within the span of 3 minutes. Goals scored by Stanislas and Ake, respectively, gave the Blues the worst beating of their life, at home, since the start of the season. The Red Devils on the other hand, had a rough day at White Harts Lane, where they suffered a 2 nil defeat to Tottenham Hotspur. While Pep Gladiola's led Manchester City had a smooth ride over visiting West Bromwish Albion. 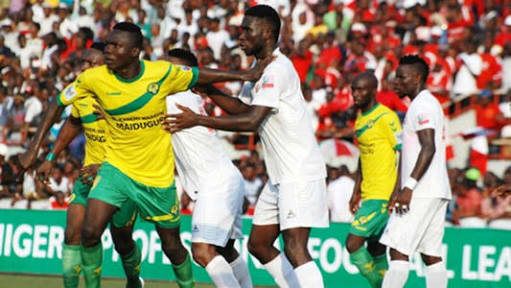 Eyimba keeps their NPFL tittle hope alive, by defeating Abia Warriors by a lone goal. After much pressures and counter attacks, the People's Elephant emerge worthy winners of the game. 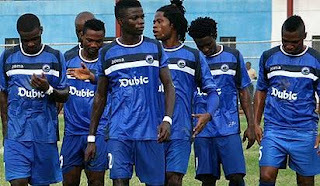 Dimgba's 2nd half goal, moved the Elephants 3 point up to 7th position on the NPFL table.